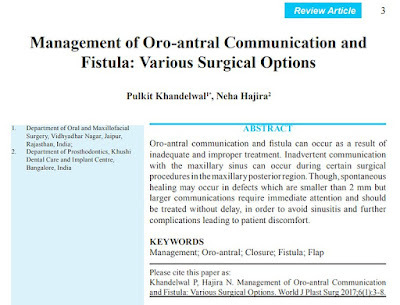 Oro-antral communication and fistula can occur as a result of inadequate and improper treatment. Inadvertent communication with the maxillary sinus can occur during certain surgical procedures in the maxillary posterior region. 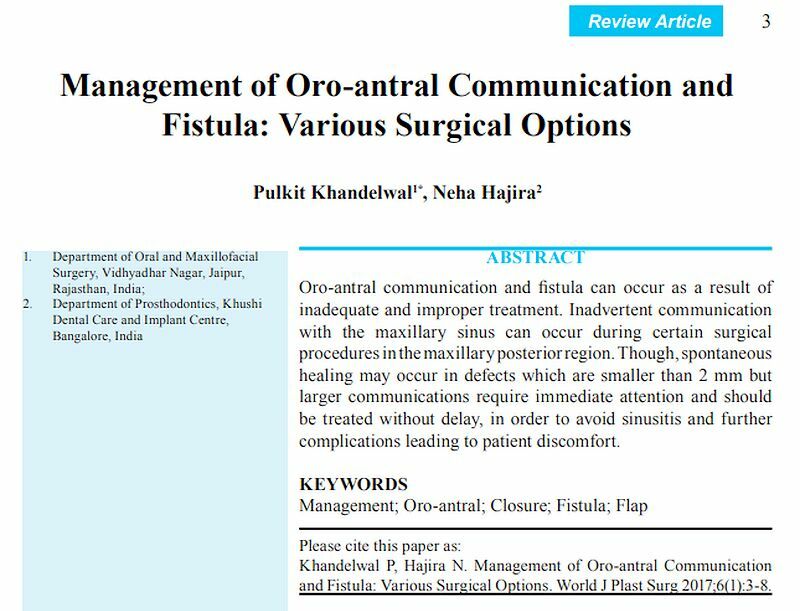 Though, spontaneous healing may occur in defects which are smaller than 2 mm but larger communications require immediate attention and should be treated without delay, in order to avoid sinusitis and further complications leading to patient discomfort.